The equinox occurs two times every year. It is actually a single moment, and not a night or day and night in length. Imagine the tilted earth orbiting the sun. The equator defines a plane that extends for ever out into space. This is the moment when the sun is exactly over the equator. The equinox is the change of season from summer to winter. It is when the sun is located directly over the equator of the earth. 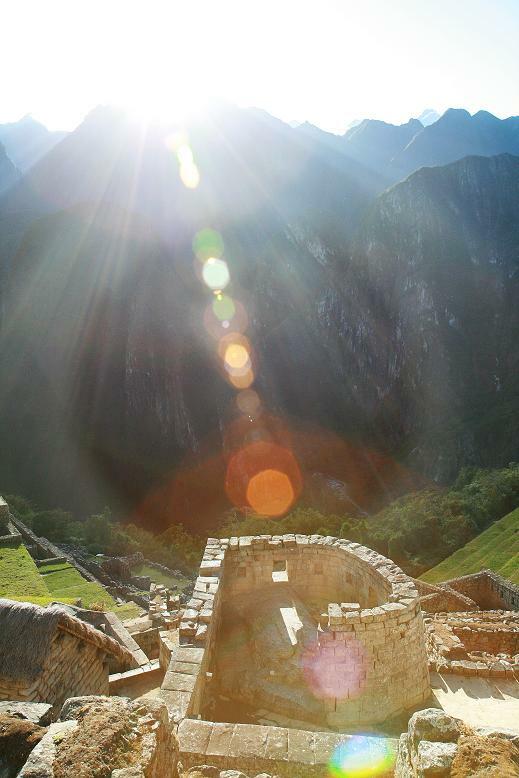 The Incas had a scared sun god. They gathered one of very few remaining stones sacred to the sun-god Inli; It is a small flattened pyramid topped by a huge stone sundial carved from the natural rock. The name means ‘the hitching post of the sun’. The stone was able to indicate equinoxes and lunar movements as at midday on March 21 and September 21, the equinoxes, the sun stands almost above the pillar—casting no shadow at all.